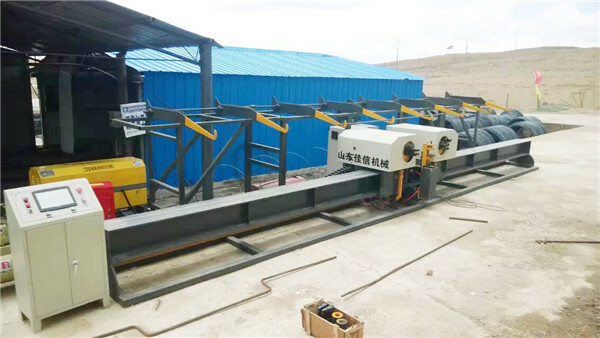 The center of Vertical Rebar Bending adopts digital control. 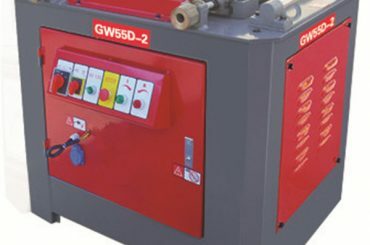 This equipment features simple operation, convenient maintenance and economic utility. 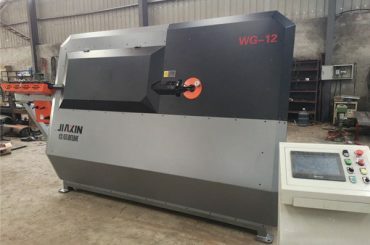 It can realize automatic length measurement, automatic bending clamp, rapid prototyping and other functions. The control program of imported PLC and CNC stores hundreds of figures and is equipped with database. It applies advanced designing concept and adopts imported servo motor driving and controlling. 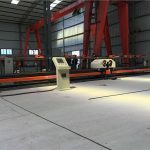 Therefore, it realizes two-way digital control bending and accomplishes more than 20 angles figures. The producing efficiency is high. It can process 5500 sticks everyday on average, which replaces 12 workers and is more than 10 times of traditional processing equipment. 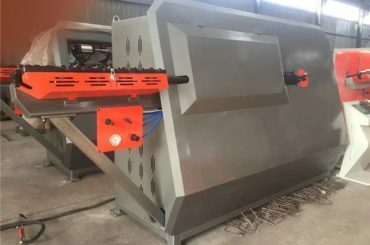 This equipment especially applies to highway bridge construction site and rebar concentrated processing factory, etc. 1. Control system adopts imported high-performance PLC and high definition touch screen with convenient operation and sensitive response. 2. Mobile host adopts imported servo original position control mode improves resetting precision. 3. 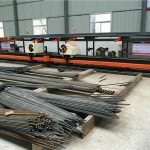 Bending host adopts imported servo to ensure rebar bending precision. 4. High intensity mobile host track is well wear and the host can rapidly and steadily move. 5. 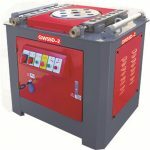 Retractable bending axis realizes rebar two-way bending. 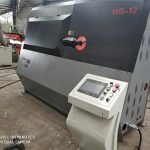 It is convenient for rapid processing of complicated figure. 6. 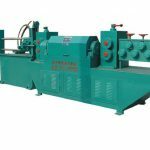 It can process many rebars at one time so that increases efficiency. 7. Equipped with database, it prestores many figures for users to choose. On the other hand, there is figure editing system. Users can edit and store themselves. 8. It owns high degree of automatic processing. It can automatically complete moving and bending without labor participation. So it improves safety. 9. 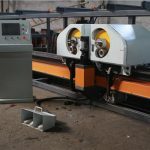 When changing rebar specification, it automatically prompt bending axis and bending mandrel specification. It provides convenient operation and avoids errors. 10. Rolling-type load material platform can bear a large number of raw material. 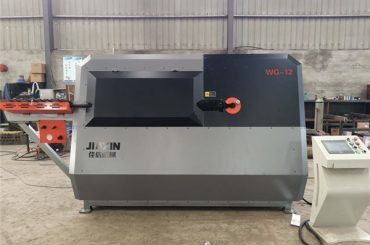 It provides convenient and effort-saving load material. 11. After editing and downloading of screen figure, it automatically displays length of raw material, unloading position, max. processing number and other parameters. All are convenient for operator to unload. 12. Processing can be controlled by several parts in order to reduce processing time and increase efficiency. 13. It adopts unitary lifting and there is no need to dismantling when removal. It applies to fixed site manufacturing or frequently changing site for its simple installation. 14. 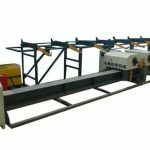 There is high intensity and automatic storage rack on vertical rebar bending center. 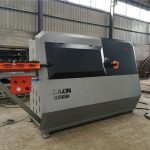 It can realizes continuously manufacturing. A:We are a manufacturer with export license,you could get factory price from us. A:Our factory is located in Jining City, Shandong Province, China, about 2 hours from Beijing, 3 hours from Shanghai. All our clients, from home or abroad, are warmly welcome to visit us!